Before the days of ISIS and Al Qaeda, in the 70s and 80s, the UK was going through one of its most difficult periods since the end of the Second World War, with terrorist activity and an internal struggle in Northern Ireland. The struggle existed based on two factors, the first being religion which was split throughout the country between Protestants and Catholics, this lent itself to a further struggle between Loyalists and Republicans, those in support of the crown, and those who weren’t. This period in UK history is generally referred to as the ‘Troubles’ and it was a horrific time for people living within Northern Ireland. Whilst these troubles are now behind us, the impact which it had will reverberate for many years to come with lives being lost on mass, families, neighborhoods and communities torn apart, and political turmoil which has taken years to unravel. On a visit to Northern Ireland, and in particular, Belfast, you can take a tour that will help you to further understand exactly what went on during those years, and witness the devastating consequences of one of the darkest periods in Northern Irish history. If you wish to take this tour, here is what you can expect. 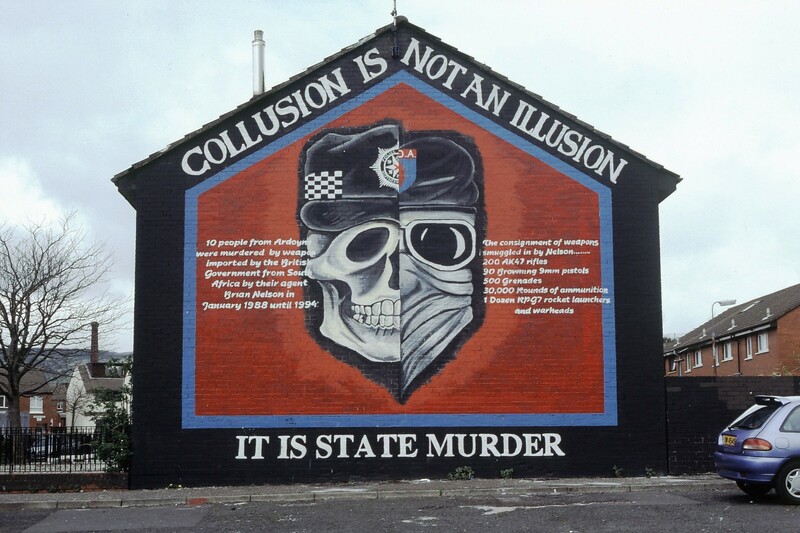 Both during the Troubles and afterwards,huge murals were painted throughout the city on walls and the sides of houses. Some of these murals were painted to remember the dead, others were designed as a sign of allegiance but the majority of them were calls for peace, togetherness and an end to the unnecessary violence. The large majority of these murals still stand to this day and they make up a fascinating part of these educational tour. One of the reasons why these tours are so highly rated is that the guides who give them, actually lived through these times themselves. Such is the recent nature of what happened in Northern Ireland, the generations who lived through it are still with us today and can recount with clarity, just what it was like to live through the Troubles. The tour guides will not only show you the locations of mass murders, bombs and stand-offs, but give you some education on how it came about, and how it finally ended. A great many of the tour companies will actually offer two guides, one from each side of the battle, to give you an accurate depiction of both sides of the story. Make sure that you take a walking tour rather than a bus or taxi tour as this will give you the chance to further explore the city, whilst you are understanding the political side of things. The walking tour takes between 3-4 hours and as long as you have a great guide, the time will fly by as you learn more about this fascinating city. The political tour is an absolute must on a visit to Northern Ireland and it is the best way to truly gain an understanding of the culture and the history of this beautiful region.